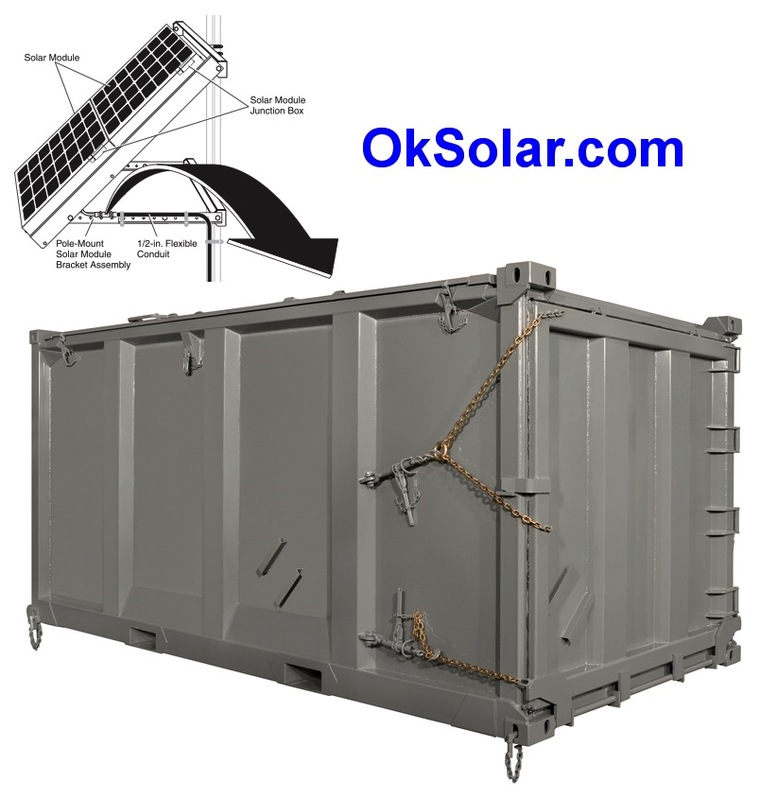 ﻿ Solar Lithium Energy Storage. 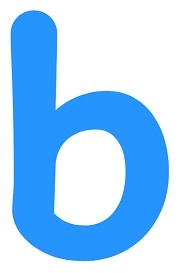 Bellebnb Hotel Cloud Booking Management. 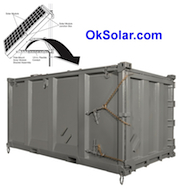 Modular Energy Storage 16KWh to 3 MVA Battery Storage, Large Scale Battery Storage new modular design Plug and Play IQUPS Technology that lets Clients like Hospitals, Airport, Industries, and Utilities scale up as is needed. Substantially reduces the requirement for diesel fuel and the associated costs and logistics and attacks. 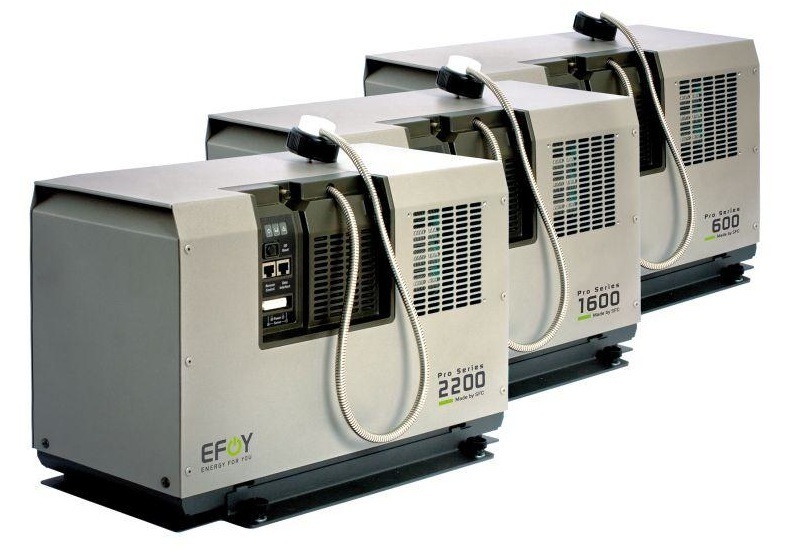 Reduces the frequency and cost of generator maintenance. Redundant power options (four power sources). 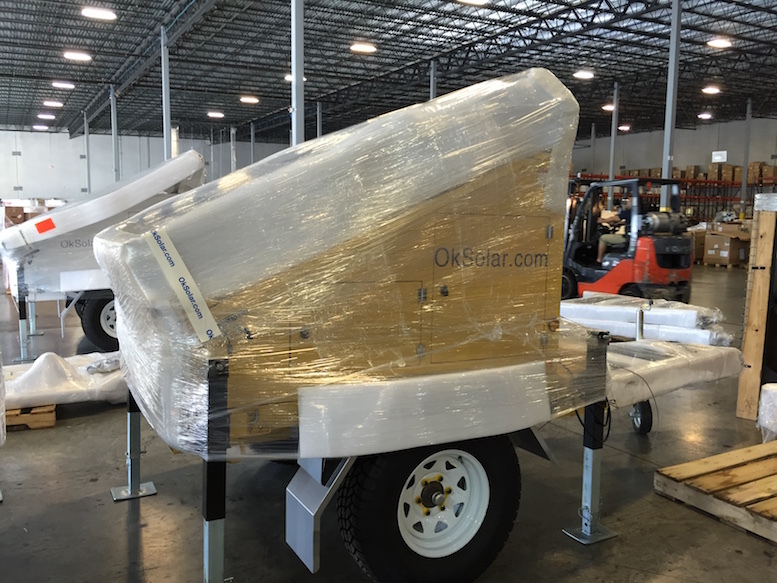 Designed to be fork-lifted off of the trailer and deployed as a semi-permanent renewable energy station. Sets up in less than an hour. Certified for safety and performance by the US Army. 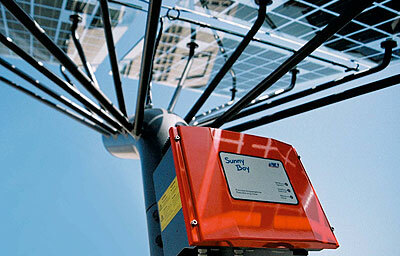 Data logging ensures optimum performance of renewable energy components. 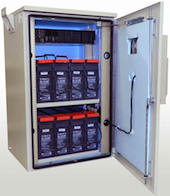 For high availability and reliability IQUPS is a modular energy storage system: batteries and control electronics are inserted in cabinets as plug-in units. 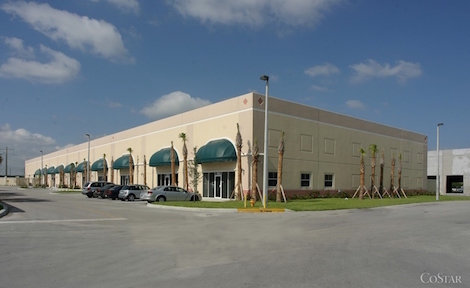 This facilitates maintenance and the exchange of individual units. The control components for the entire storage unit are accommodated in the cabinet. 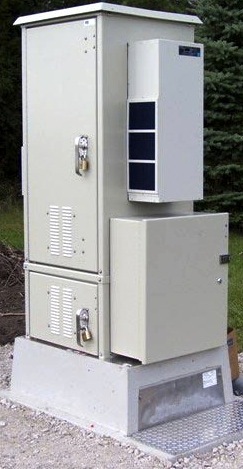 A combined control and grid connection cabinet may be used for up to four energy storage cabinets. The integration of the cabinets into a containerized enclosure ensures a particularly easy application. 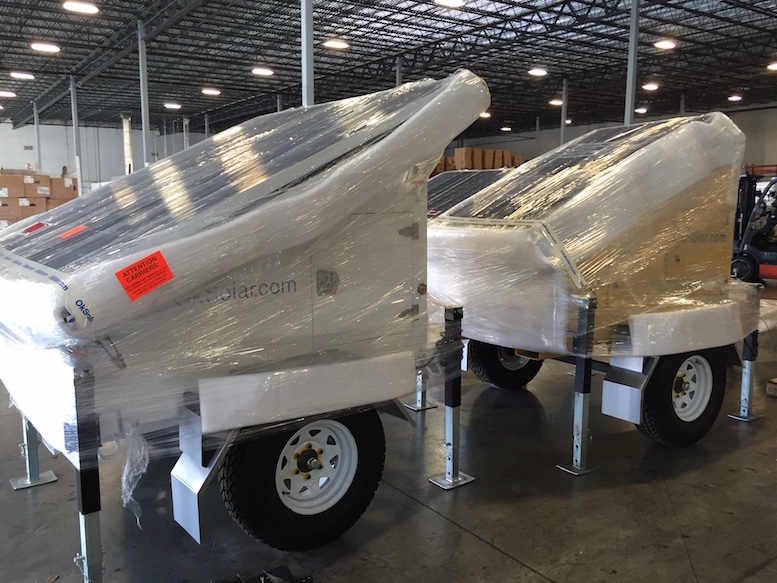 It is easy to transport the containers and they can be positioned flexibly. -Rated Power: 1 MVA up to 2 MVA 2. We will work with you to design a Solar - Fuel Cell and or Wind power system for your project some applications Business - On-Grid Commercial Buildings and Off-Grid Industrial Remote electricity anytime anywhere!. 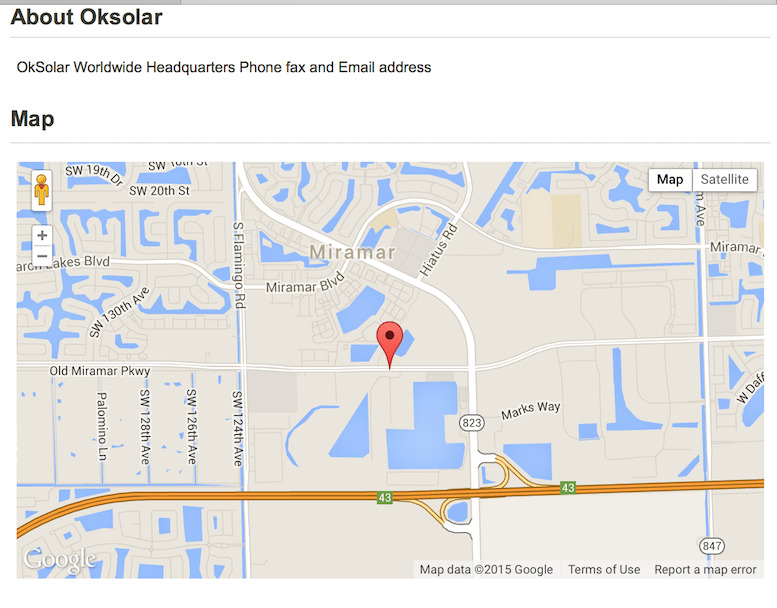 Businesses - Government Agencies and homeowners around the world are using OkSolar systems Integrated systems Solar, fuel Cells and wind energy. Base Stations for Mobil Networks that can run on Solar, Wind and Fuel Cells.IQ UPS Base stations cut diesel usage by 75 percent. 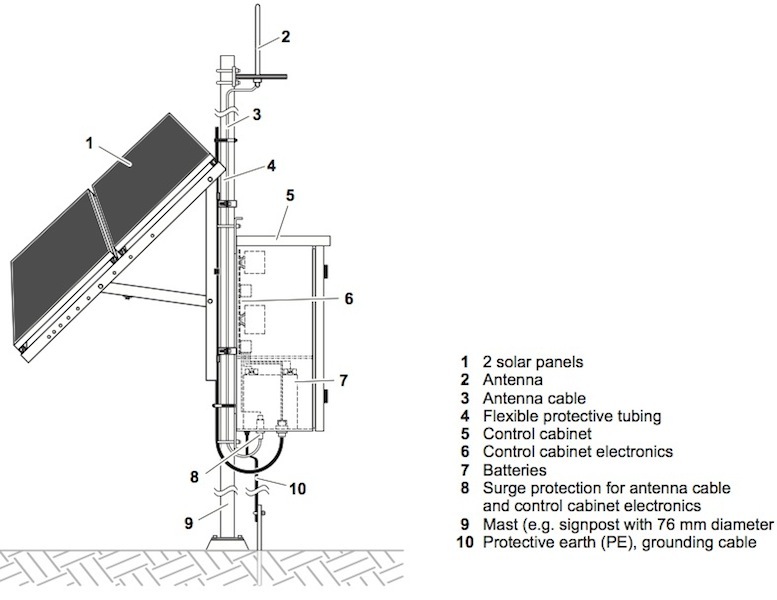 IQUPS.com has designed a base station for mobile networks that would run on sun, wind power and fuel cells. Gas Stations (Powering gasoline pumps during a power failure). Hospital EMS: IQ UPS Hospital Power Backup Electrical ( Emergency Power Back-up for Hospitals ). Rail Roads: Railroad crossing signals backup. Traffic intersections: backup power for critical LED traffic light intersections. Solar Trees Arrays We Delivered On-Site For Fast Plug and Pay Installation Solar Tree structure are designed for the following applications: Shading vehicles from the sun and at the same time generate Green energy. Facilitate the creation of infrastructure for electric vehicles. 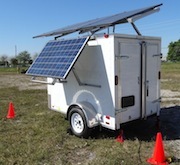 Traffic Application: -Keeping Traffic Moving When The Power Goes Out Item#1608450 Portable Solar Powered 120 volts 60Hz. 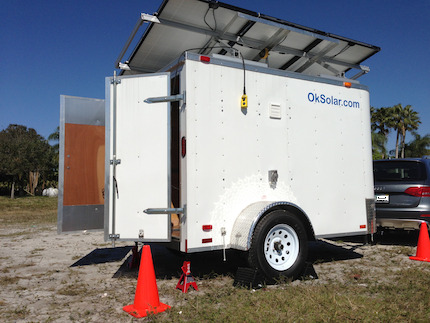 or 230 Volts 50 Hz, Portable Solar Powered 220 Volts 50 Hz, Portable Solar Powered 230V 50Hz, Portable Solar Powered 220Volts 50Hz pedestrian signals, A 120 or 240 V, 100 amp, single-phase IQUPS.com transfer panel is used to activate the generator at the loss of power. 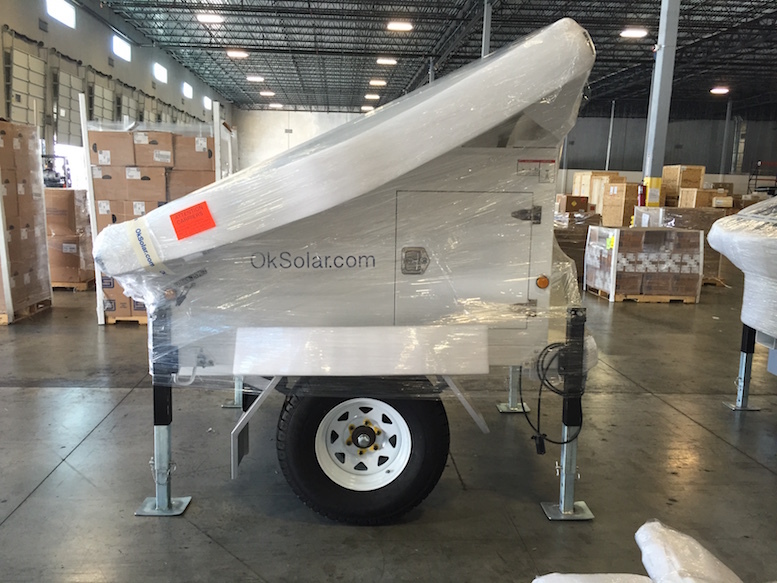 According to IQUPS, the generator assumes the full load in seven seconds. 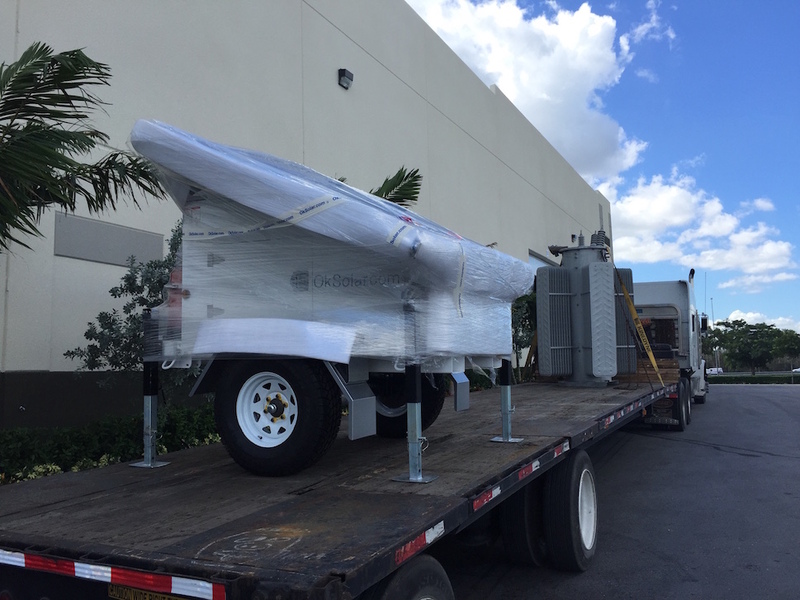 When utility power is restored, the generator shuts off and signal operation is automatically returned to the normal power source. "The IQUPS1800 will completely run the intersection stoplights," said general manager for the DOT. "Other backup systems will put the lights to flashing red. 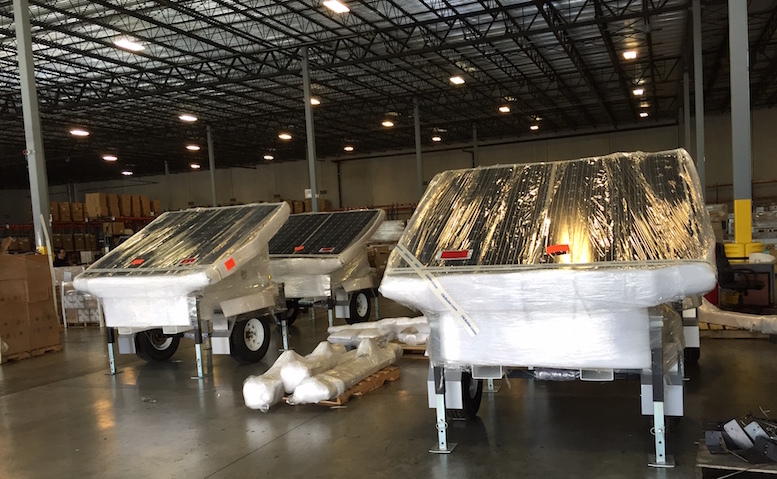 When the generator kicks in on the IQUPS1800, the lights will fully function for 25 to 40 hours, depending on the load at the intersection. When power is restored, the system returns to utility power and the traffic signals do not need to be reset." Battery Backups Prevent Accidents at Critical Traffic Signals Additional Applications Being Taken for More Intersections Keeping Traffic Moving When The Power Goes Out Portable Solar Power 120 Volts 60 Hz or 230 Volts 50Hz, Traffic Portable Solar Power 120 Volts 60 Hz Thanks to new IQTraffiControl.com energy-efficiency technology, different Cities, towns and counties will keep their traffic signals safely operating even if the electricity goes out, and other local governments. Intersections have been converted to new LED signal lights utilizing more efficient, LED (light emitting diode) lamps. The new lamps cut the amount of electricity used by each light from as much as 150 watts to between 10 to 25 watts. Because LEDs use so much less electricity, it is now technically possible to provide battery backup power to alike. 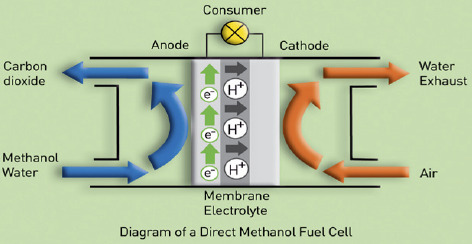 We also Have Fuel Cells Traffic Backups. IQUPS Battery Backups Prevent Accidents at Critical Traffic Signals Increase the public safety and reduced traffic congestion by allowing traffic lights to function even during a power failure. A typical traffic signal intersection experiences eight to ten local power outages annually. 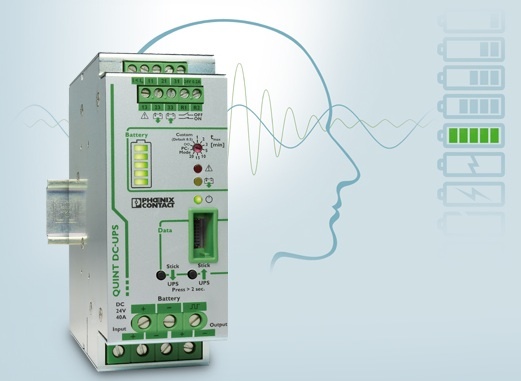 With battery backup 3 power, some or all the traffic control signals can continue to operate. This seamless switchover to battery power increases public safety and eliminates the need to dispatch police or other service personnel to direct traffic. If all traffic signals were converted to LEDs, the battery backup system would allow full operation of the traffic signals during a power outage, thus alleviating traffic congestion.